BGS members want more than just a line on a resume. Their academic achievements helped them get here, but they know they’re just getting started. As you begin the transition into your professional career, imagine the edge you’ll gain from having access to a global network of BGS members, programs designed to give you an advantage in today’s job market, and benefits & services you can use throughout your academic and professional careers. Membership in Beta Gamma Sigma starts with recognition as the "best in business" but delivers value for life. Beta Gamma Sigma is The International Business Honor Society. Since 1913 we have recognized and honored top performing students from around the world in business schools accredited by The Association to Advance Collegiate Schools of Business (AACSB). We are also a proud member of the Association of College Honor Societies (ACHS). Through our dedication to providing lifetime value for our members, we work to bring programs, connections, benefits, and opportunities to every individual in our organization. Our members are the top 10% of undergraduate students, top 20% of graduate students and all doctoral candidates that have successfully defended their dissertation at an AACSB accredited business school. AACSB accredits just 5% of schools worldwide assuring that BGS members belong to an organization synonymous with the highest standards of academic excellence. You can find BGS all over the world. With more than 590 collegiate chapters and lifetime members from over 190 countries, you will find that Beta Gamma Sigma is truly a global network. For those who have graduated but still want to remain active in the BGS community, you can join one of our 31 Alumni Chapters or 13 Alumni Networks found in cities all over the world! Meet with dedicated members, network, and share with one another. The Global Leadership Summit brings together students from all over the world to participate in thought leadership, networking, and hands-on leadership experiences. During the Summit our members learn from top speakers that offer real-world lessons and advice. They will also have the chance to discuss and share ideas with members from different countries and walks of life. The GLS is a unique event that provides Beta Gamma Sigma members with opportunities to connect, lead, and learn. The Ethical Leadership Certification Program is a chance for our members to learn how to be an ethical leader. This online course for current undergraduate and masters degree-seeking students has 6 modules and discusses topics such as ethical decision-making, organizational support, and conflict management & prevention. You'll hear from CEOs of fortune 500 companies and learn how to apply your new ethical leadership skills to your daily and professional life. Our commitment to lifetime value for our members includes providing ways to stay connected with one another. With ConnectBGS, members from all corners of the world can network, create and maintain lifelong connections, share ideas, engage in discussions, and learn from a diverse community. This discussion board, exclusively for BGS members, can be accessed from the moment you are inducted! BGS supports its members throughout their academic career. Our educational benefits include: internships and volunteer opportunities that can take you to Washington DC, Europe, Asia, Africa, and more. Our partnerships with several graduate schools offer exclusive scholarships to our members. And other school partnerships offer our members GMAT/GRE and application fee waivers. 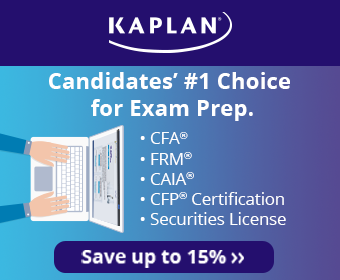 If you are looking to gain an edge in your CPA, GRE, GMAT and other exams our test prep partners offer special pricing to BGS members. Beyond our educational benefits BGS continues to support its members long after they have left the classroom. As a member you'll receive special discounts on auto and motorcycle insurance, car and hotel rentals, laptops and computers, gifts and services, publications, and professional attire.